This Companion takes stock of the trajectory, achievements, shortcomings and prospects of Marxist political economy. 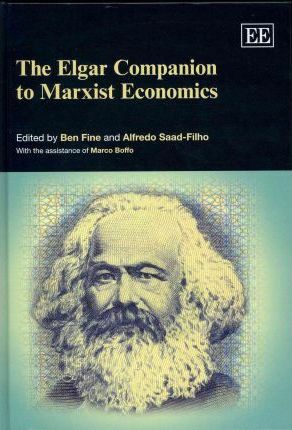 It reflects the contributors' shared commitment to bringing the methods, theories and concepts of Marx himself to bear across a wide range of topics and perspectives, and it provides a testimony to the continuing purpose and vitality of Marxist political economy. As a whole, this volume analyzes Marxist political economy in three areas: the critique of mainstream economics in all of its versions; the critical presence of Marxist political economy within, and its influence upon, each of the social science disciplines; and, cutting across these, the analysis of specific topics that straddle disciplinary boundaries. Some of the contributions offer an exposition of basic concepts, accessible to the general reader, laying out Marx's own contribution, its significance, and subsequent positions and debates with and within Marxist political economy. The authors offer assessments of historical developments to and within capitalism, and of its current character and prospects. Other chapters adopt a mirror-image approach of pinpointing the conditions of contemporary capitalism as a way of interrogating the continuing salience of Marxist analysis. This volume will inform and inspire a new generation of students and scholars to become familiar with Marxist political economy from an enlightened and unprejudiced position, and to use their knowledge as both a resource and gateway to future study.